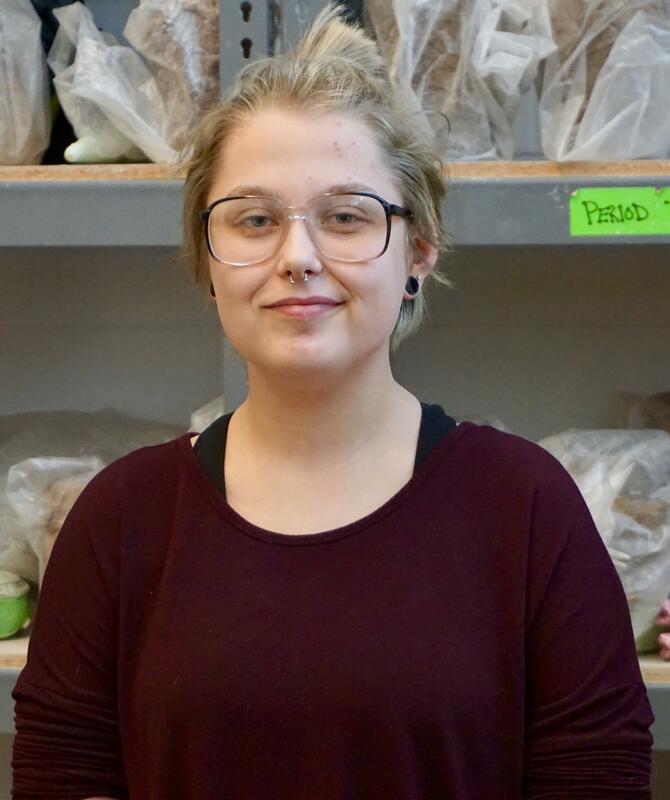 Newark High School senior Jazmin Harkin has loved art as long as she can remember, and hopes to turn that passion into a career. One of her pottery sets she created this year has been selected in the Top 25 of all entries in the 2019 Ohio Governor's Youth Art Exhibition. Statewide, more than 11,000 art entries were submitted from Ohio high schools. Of those, 300 will be on display for the 49th Ohio Governor's Youth Art Exhibition from April 22 through May 16 at the James A. Rhodes State Office Tower in Columbus. The exhibition will be on display from 9 a.m. to 5 p.m. on weekdays. There will be a special ceremony at noon on Sunday, May 5, at The Riffe Center Capitol Theater. Jazmin is the first Newark High School student to be recognized with the Top 25 Award. Her award-winning set includes a pitcher, 4 cups and platter. She created the pitcher using the pottery wheel in the ceramics classroom at Newark High School. The set is titled, Melusine, after a French tale of a mermaid. 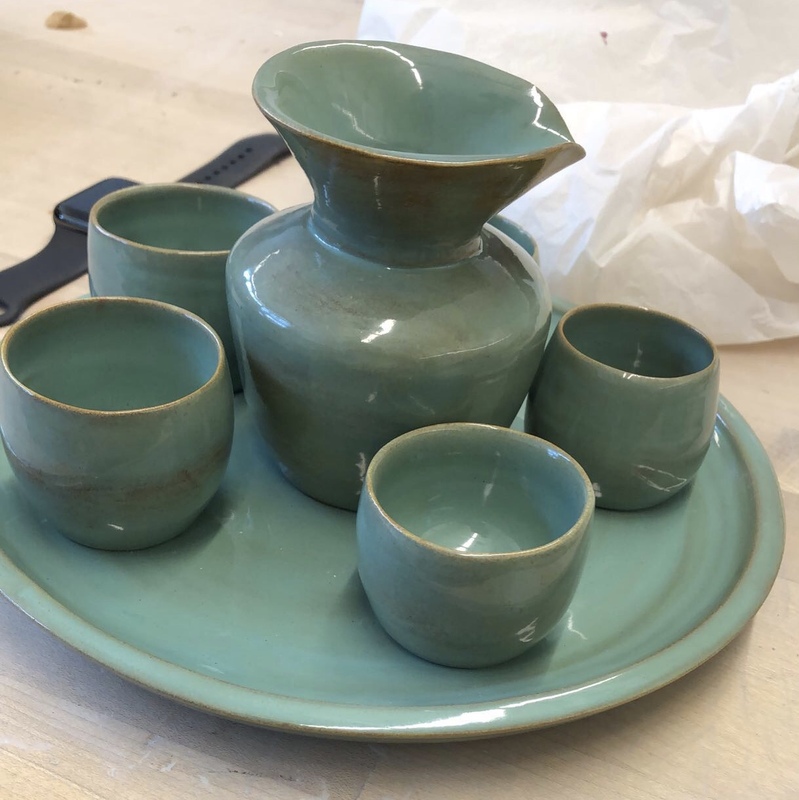 The color of her pottery set reminds her of the ocean, Jazmin said. Jazmin has taken art classes in nearly every discipline offered at Newark High School, from ceramics to painting, drawing and photography. She loves painting portraits in acrylics, and is currently in independent study classes seeking to learn more. "You have the ability to go above just the regular courses," she said. Jazmin plans to attend Kent State University and major in art education. She also hopes to become a tattoo artist and apprentice in that field while in college. She credits her mom with encouraging her involvement in the arts. "She really pushed me into acting, and art," Jazmin said. © 2019. Newark City Schools. All Rights Reserved.